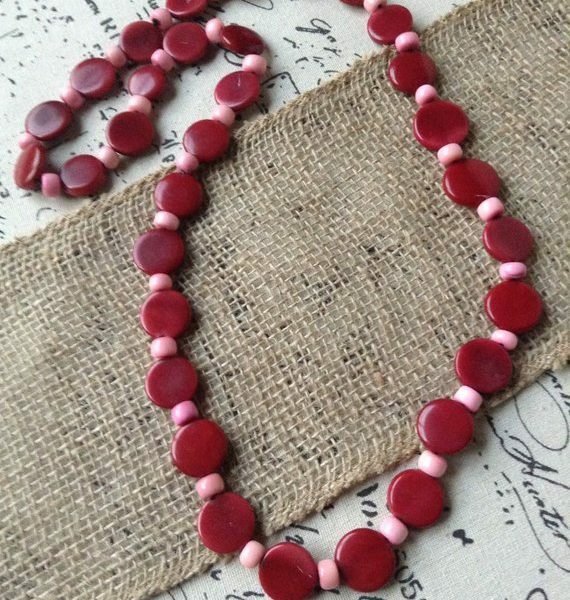 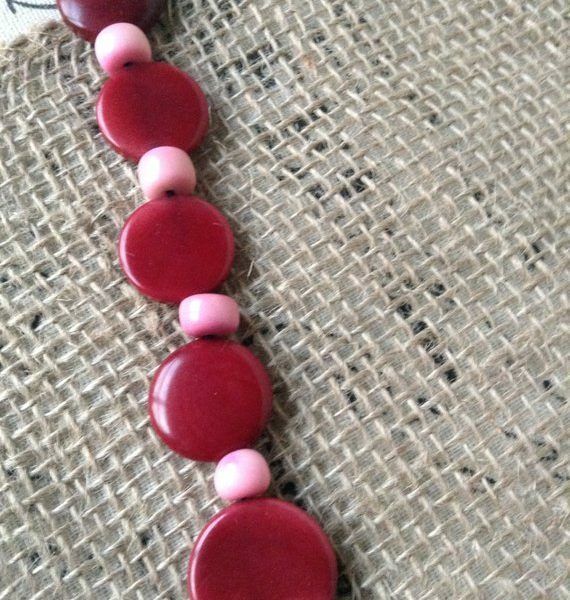 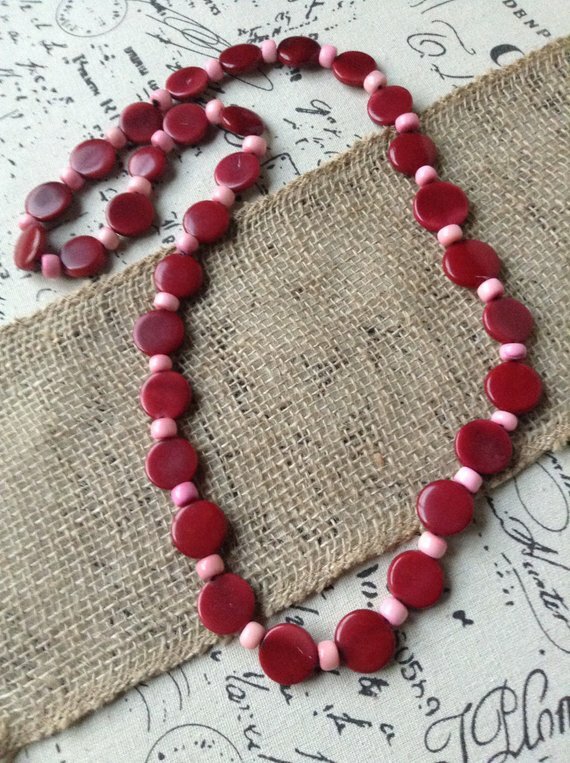 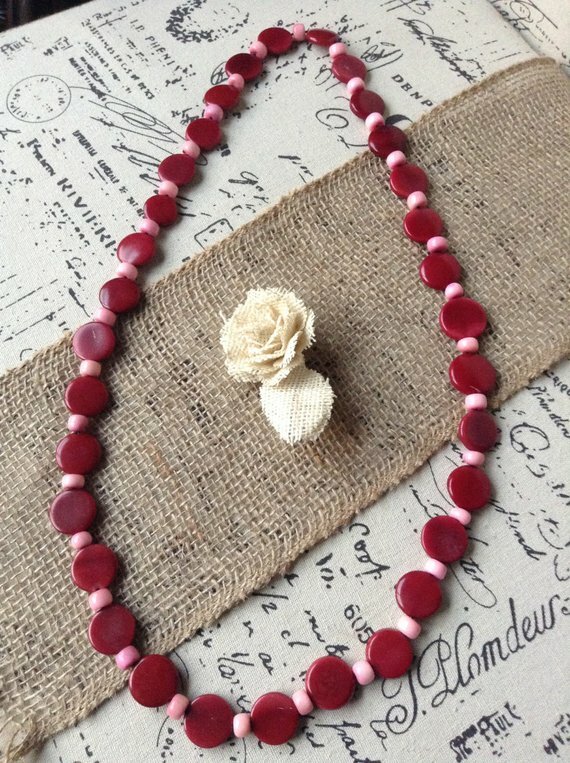 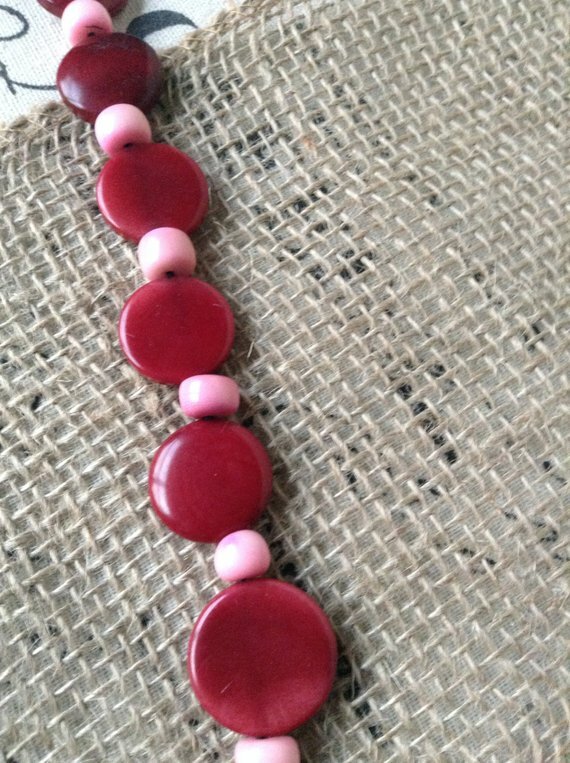 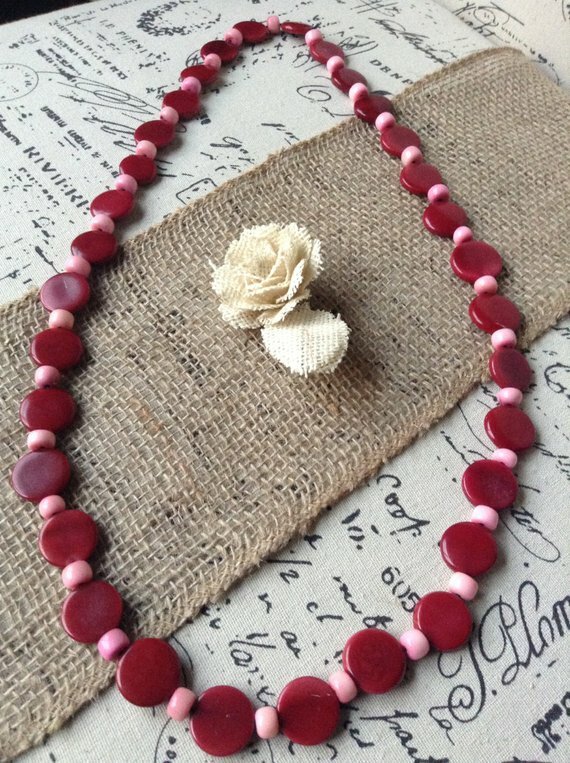 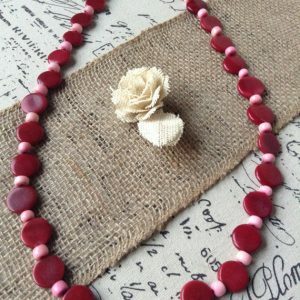 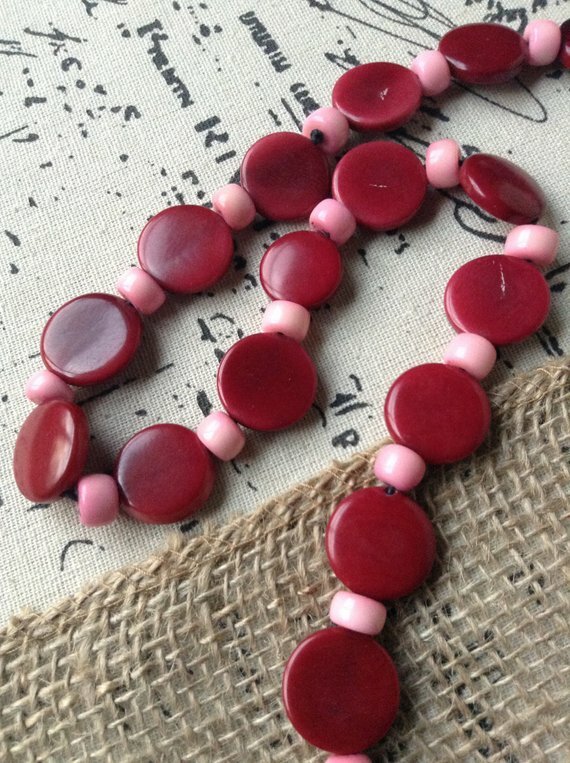 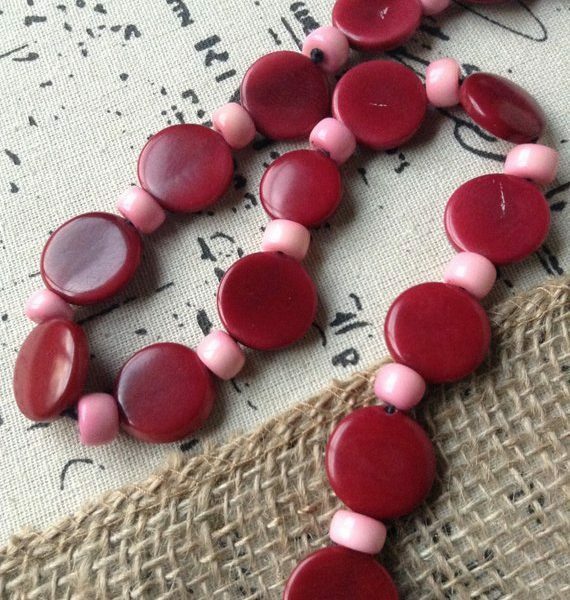 This stunning red burgundy geometric necklace is one of a kind! 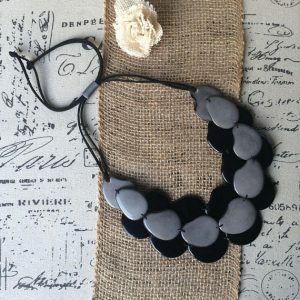 This necklace is 30 inches long approximately. 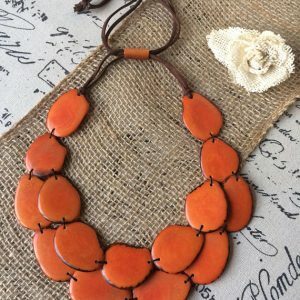 All of our Jewelry is Eco friendly and it’s proudly handmade in Ecuador by local artisans.